In a world full of abundance, it might be surprising to learn that anywhere from 50-80% of the human population is short on magnesium. Magnesium is a mineral that is absolutely necessary for your body to thrive and be functional. Magnesium is a mineral that is absolutely necessary for your body to thrive and be functional. The body uses it for enzymatic reactions, more than three hundred to be more specific. For example, your body needs magnesium to pass signals in your nervous system. Magnesium is part of the protein synthesis process. Without it, bones would be able to develop properly and blood glucose levels would be all over the place. Magnesium assists muscles in contracting and relaxing, and that includes one of your body’s most valuable muscles – your heart. Magnesium ions help produce ATP (adenosine triphosphate), which is energy for our bodily cells. In other words, we need magnesium to have energy at the molecular level. When it comes to skin health and acne, it’s no secret that when we have issues in other parts of our bodies, especially in our vital organs, the symptoms show up in our skin in the form of various skin conditions and problems. That’s only a small glimpse at what magnesium, or the lack thereof, does for our bodies. Unfortunately, more than half of the human population is magnesium-deficient, even when they get their full recommended dietary allowance (RDA). What Has Caused This Widespread Magnesium-Deficiency? Modern farming techniques often strip the very soil our crops grow in of vital minerals and nutrients. This includes zinc, copper and, more than anything else, magnesium. Crops grown in this deficient soil obviously grows with less or even without these essential nutrients, which means that when we eat them, we’re not getting those minerals in our food either. Pesticides and herbicides actually reduce plants’ ability to properly take nutrients and mineral from the soil as it grows. The modern diet is often devoid of healthy plant food. Instead, we eat a lot of animal-based foods that are very low in magnesium, though there are some exceptions to this. The modern diet is also very calcium-rich, usually due to the high amount of dairy foods that we eat regularly. Since calcium and magnesium need to work together in synergy for the benefit of our bodies, we’re just too magnesium-deficient in comparison. Soft drinks and other bubbly, carbonated beverages prevent our bodies from absorbing magnesium and even calcium. This happens due to the ingredients in these drinks binding itself to these specific minerals, making it difficult, if not impossible, for our intestines to absorb them. Sugars in our diets suppress the ability to absorb as well as synthesize a lot of nutrients and minerals, and that means magnesium too. Purified water is another culprit in our current magnesium-deficient state. Humans may have once been able to get magnesium and other essential nutrients and minerals from their water supply, but modern water purification practices have stripped water completely of everything, both the bad and the good. To make waters worst, municipally treated water has added fluoride which neutralizes magnesium ions completely. Medicinal drugs, both prescription and over-the-counter, have become rampant in modern society and is responsible for depleting our bodies’ magnesium levels. Some of the most common culprits are antibiotics, anti-inflammatories, diuretics, birth control pills, hormone replacements, allergy meds and asthma treatments. How Would Improving Your Magnesium Levels Improve Your Acne? As previously addressed, skin problems like acne are often the result of other, deeper-lying problems that your body is facing. Magnesium helps to quell a lot of that. If you’ve done your research on the underlying, internal problems that result in persistent acne, you’ve probably already learned that an unhealthy gut results in unhealthy skin. To have a healthy gut, you need healthy gut flora, and healthy gut flora requires a good balance of both good and bad bacteria. When our bodies are deficient of crucial minerals like magnesium, it results in an imbalance of your guts microbiome. In other words, you end up with more bad bacteria than good bacteria, a state known as dysbiosis. This causes a whole set of problems for your body. When your gut health is messed up, your body’s ability to effectively absorb nutrients and water is inhibited. Your immune system gets knocked down. Pathogens and even food particles enter the body due to SIBO and leaky gut and your whole body goes through inflammation as these harmful contaminants find their way into your various organs, including your precious skin. The worst part is that the more the bad bacteria gets to over-populate your system, the more the good bacteria dies out, and problems only continue to get worst. But magnesium can activate enzymes that help your body to properly break down food. It also helps your body to have proper bowel movements that aren’t slow and sluggish, so you can eliminate the toxins from your system regularly and properly. This helps your good gut flora as it won’t get bogged down and overwhelmed by the excess toxins just lying around in your system waiting to be eliminated. In other words, magnesium helps your digestive system work properly, allowing your muscles to contract and relax so they can pass on waste the way they’re supposed to. After all, eliminating waste by going to the bathroom is absolutely crucial to proper gut health, as it is part of your body’s system of getting rid of the bad, unwanted things in your system. When your gut is healthy, your chances of having healthy skin is highly increased. When it comes to acne and skin health, chronic inflammation is a real problem. By the time your skin has inflamed acne lesions, it means that something serious is happening beneath the surface to another part of your body’s system, and this shouldn’t be taken lightly. Fortunately, magnesium has been proven to reduce system-wide inflammation. When it comes to the acne itself, magnesium helps vitamin C work on the skin, releasing its antioxidative effects. Antioxidants for the skin are necessary to prevent free radicals from damaging the sebum in your skin, lowering the oxygen content, an event known as sebum peroxidization. When the skin’s sebum is damaged by free radicals, it makes it easier for the acne bacteria, P. acnes, to thrive and reproduce, as it multiplies better where there is less oxygen. Magnesium also activates vitamin D, which is also necessary for the skin’s ability to heal and be healthy. Another important antioxidant that your body needs to fight free radicals is glutathione, and when you suffer from magnesium-deficiency, this antioxidant suffers a significant reduction as well. In the fight against inflammation, magnesium inhibits a molecule called e-selectin. This molecule is responsible for directing inflammation to areas of the skin that are damaged, as a way of helping the healing process along. However, when skin is continually or chronically damaged, which is often the case with persistent acne or damaging lifestyle choices like bad diets, smoking, etc., e-selectin is constantly present, and so is the resulting inflammation. Sufficient magnesium is needed to limit that process and cut down the inflammation and redness. Another major contributor to acne is the excess of insulin in the body, which leads to insulin resistance. The function of insulin in the body is to regulate blood sugar levels so that they never get too high. But since the modern diet is very high in sugars, in pushes the body to over-produce insulin. This causes your body to eventually become resistant to the insulin and it ceases to break down the excess sugar in your blood, leading to metabolic syndrome and eventually strokes, diabetes and heart disease. When it comes to acne, specifically, insulin resistance triggers the excess production of sebum and skin cells. This, in turn, causes acne, as pores get clogged with the excess oil and build up of dead cells. Plus, insulin itself causes inflammation in the skin, which leads to the red puffiness that is often associated with acne. Again, magnesium has anti-inflammatory properties to combat the inflammation, but on top of that, magnesium has been proven to slow down and even reverse the effects caused by insulin resistance. Studies have actually shown that people in the pre-diabetic stage (metabolic syndrome) were able to lower their insulin resistance metabolic markers by up to 71% simply by upping their magnesium intake. A different study showed that increased magnesium slowed and lowered the risk of becoming diabetic by 37%. What this means is magnesium is essential for managing your insulin levels to continue safely metabolizing sugar. That being said, cutting sugar down is absolutely necessary to assist your body’s ability to have healthy amounts of magnesium. By now, it’s commonly known that stress and anxiety are great contributors to the development and progression of acne and other skin conditions. There are numerous studies that link stress to poor skin health, after all. Stress causes acne because when we’re stressed out, our body produces high amounts of cortisol and adrenaline. These are hormones that shock our body into being awake, alert and moving at a frantic pace. In the past, humans often produced these hormones when they were really in situations that required it, such as almost getting into a car accident, finding themselves in a confrontation with someone else, or trying to avoid some other disaster. But in today’s modern society, we’re always under some form of low-level, permanent stress. Maybe it’s due to the constant stimulation of media, advertisements and technology, or perhaps it’s how the monetary system, credit system and economy has a lot of us constantly working to make ends meet. Whatever it is, chronic stress is a very real problem amongst our current generations, and it doesn’t look like it’s going anywhere anytime soon. The problem with chronic stress is that it doesn’t allow our bodies a break from cortisol, which happens to be a big aggravator when it comes to acne, among other problems. As a result, our cortisol levels continue to climb and our sebum production goes into overdrive, producing way too much sebum that ends up clogging up our pores, causing acne. But magnesium is a mineral that actually helps the body to relax. It supports adrenal function and gets released into your system by your kidneys to balance the cortisol in your body. By having magnesium present in your body, the effect of these stressing hormones is dampened and the hormones are eventually metabolized and removed from your system. On top of making your body relax, magnesium is also a part of synthesizing serotonin. This particular hormone is responsible for making you feel good and happy. In other words, magnesium actually helps you to feel relaxed and happy. However, even though magnesium is as magical as it is, chronic stress is stubborn and because it hardly goes away, it eventually depletes your body’s magnesium. Low magnesium levels cause blood vessels to tighten up, which then causes your blood pressure to increase. This makes your stress levels even worse, which makes your blood pressure go up even more, and the cycle continues, eventually making your acne worse, too. Just like you have to cut down on sugar to help the magnesium fight your insulin resistance, you have to find ways to reduce stress so that the magnesium can work to help your body be more relaxed and happy. Another huge skin-killer is the lack of proper sleep. Getting enough sleep plays a huge role in the maintenance of our health. While we sleep, our bodies have a chance to heal and repair damaged tissue, metabolize toxins and byproducts to eliminate them from the body, and recharge enough to make it through another day. Improper sleep leads to higher stress levels and an increase in cortisol, worsened inflammation, increased insulin resistance and lowered immunity. All of these contributed to more acne problems. Magnesium helps you to get better sleep by down-regulating cortisol. When we have too much cortisol in our systems, it keeps us in a state of being “wired’ and wide-awake. That’s because, again, cortisol is a stress hormone that your body produces to essentially keep you in a survival mode, like averting a bad accident. Having too much of it in your body when it comes time to sleep makes it nearly impossible for you to fall asleep, and if exhaustion manages to get you into some state of rest, it usually isn’t very restful if you still have too much cortisol in your system. Magnesium helps to eliminate that so you can get a restful sleep. As mentioned earlier, magnesium helps you to feel relaxed, and includes getting your muscles to be relaxed, too. Furthermore, magnesium helps your body to create serotonin, the precursor to melatonin. Serotonin makes you feel good, while melatonin makes you feel sleepy. Studies have shown that sufficient magnesium intake helps to decrease cortisol while boosting melatonin, which is a great recipe for a proper good night’s rest. It’s worth noting that serotonin is also key to boosting your immune function, which is great for combating the bacteria that causes acne in the first place, P. acnes. All in all, sleep is an important factor in your body’s overall health and for beating acne and the damage it does to your skin. Magnesium helps you to relax, feel good and reduces your stress hormones while allowing you to develop enough of the hormone that helps you to get a good night’s rest. Even though modern diets are nearly devoid of magnesium-rich foods, there are a few reliable ways to make sure you’re getting enough magnesium in your diet that don’t involve taking an actual supplement. These are the dark green, leafy veggies like swiss chard, kale, spinach, collard greens and essentially anything that’s really dark green. The rule is, the darker the green, the better it is and the more magnesium-rich it will be. When it comes to fruits, bananas, avocados and dried fruits like raisins, prunes and apricots are good for a healthy dose of magnesium. If you’re a chocolate lover, you’ll be pleased to learn that dark chocolate also has a fair amount of magnesium that you can add to your daily – or weekly – intake. Another place to get a decent dose of magnesium is from the ocean. Plant sources are seaweed, kelp and spirulina. In terms of fish, your best bets are tuna, mackerel and sardines. Aside from thee top-notch sources of magnesium found in nature, there are other foods that have a fair amount of magnesium in them as well. However, with this secondary list comes another list of its own downsides that could potentially work against the benefits that magnesium presents. These foods are dairy products, beans and lentils, whole grains and nuts and seeds. With dairy, you’ll have to worry about its calcium content crowding out the magnesium, as well as the other downsides to drinking milk and consuming dairy. For example, if you have acne, dairy is probably going to make it worst, and if you’re lactose intolerant, dairy is a big no-no. With grains, nuts, seeds and beans, you have to watch out for phytic acid, which hampers your body’s ability to absorb magnesium and other nutrients. One way to deal with that is to pair these foods with vinegar, vitamin C and other foods that offset the effect of phytic acid. With beans and lentils, you can soak them for a minimum of 12 hours to let the acid leech out into the water. Even better, you can let the beans sprout. When beans sprout, it activates an enzyme that causes it to break down the phytic acid. Also, beans sprout after being soaked, so the combination of soaking and sprouting is an effective way to get rid of phytic acid in beans. With nuts and seeds, you have to watch out for its high omega-6 content, which is inflammatory, meaning it causes inflammation. That’s why suggested portions for nuts and seeds is always very minimal. Even though the foods listed above are considered rich in magnesium, it takes an intensely large portion of these foods to get a decent amount of magnesium in your body. The standard RDA for magnesium is 300 to 400 milligrams (mg) at minimal, and up to 800-1000 mg in some cases. But a standard can of sardines only has 36 mg of magnesium, and a cup of spinach has just 24 mg. The amount of food you have to actually eat to hit the minimum is phenomenal and nearly impossible to do in a day. The only exception to this is kelp, which has 121 mg of magnesium in just 100 grams, or half a cup. So, if you’re willing to eat 1 ½ to 3+ cups of kelp in a day, you should be okay. Now, that doesn’t mean that you shouldn’t eat these magnesium-infused foods, but it does mean that you might have to do more to get the basic amount that your body truly needs. For many, the best bet is take supplements. Not everyone will be able to stomach that much kelp on a daily basis. Given the immense amount of bodily functions that require magnesium for optimal performance, doing what is necessary to get enough magnesium only makes sense. However, that shouldn’t replace eating magnesium-rich foods altogether. Consuming those foods will also ensure you get a good balance of the other minerals and nutrients that your body needs, such as certain trace minerals. Macro-minerals like magnesium, on the other hand, require a large quantity to keep your body functional, hence the need for extra support via supplements. Less anxiety, better stress reactions and improved mood throughout the day. Consistent bowel movements with better elimination. Less cravings for caffeine or salty foods. Improved concentration levels and the ability to stay focused on a particular task for an extended period of time. Restful, quality sleep and waking up feeling refreshed and well-rested. Better skin health and improved acne, as well as other skin conditions. When you really start to think about the many ways that magnesium, or its lack, can affect your body, it’s surprising that we humans have managed to go so long with such a low supply of it in our bodies. But as you should probably be able to see now, magnesium is absolutely essential to leading a healthy, normal life with minimal health problems, reduced stress and a general ability to just feel good. How on earth are people able to get on without it? When you finally decide to hit the market to pick up a magnesium supplement, you’re probably going to find yourself bombarded with the insane amount of magnesium supplements available. Although it would be nice to just find something labelled, “magnesium supplement,” that isn’t what you’re going to find. Magnesium supplements will come combined with other ingredients, so you’re likely to see things like magnesium carbonate, magnesium chloride, magnesium citrate, magnesium glycinate, magnesium hydroxide (also known as milk of magnesia), magnesium lactate and more. How Do You Decide Which Is The Right One For Your Body? Not all magnesium supplements are made equal, that’s something you need to know right off the hop. Each different type of supplement presents different and unique benefits, so choosing the right one is really crucial to making sure you get what you need from the supplement. One important difference to note between the different magnesium supplements is that they all differ in bioavailability. What that means is they have varying amounts of magnesium that is actually absorbable by the body. For example, magnesium hydroxide or magnesium oxide will work to soften your stool, but it won’t do much to up your overall magnesium levels. Something like magnesium lactate is really good for fixing gut-related issues like flora imbalance that leads to digestion issues. 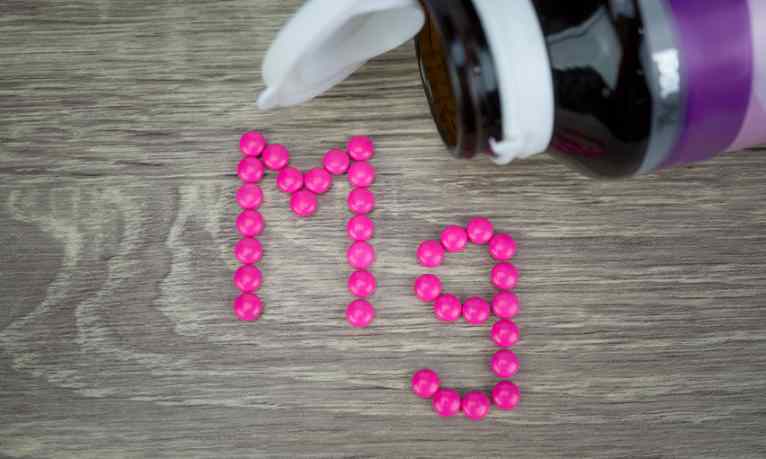 Remember, gut health is intimately tied to skin health, so if you’re looking for a magnesium supplement that will fix your skin by getting your gut health right, magnesium lactate might the supplement for you. If you’re looking for something to remedy the overall magnesium deficiency you’re probably dealing with, resulting in fixing most of the problems associated with magnesium deficiency, then magnesium glycinate might the supplement you’re looking for. It doesn’t technically have the highest magnesium content in comparison to some of the other magnesium supplements, but it does have some of the most bioavailable magnesium content in comparison to many of the supplements you could choose. This means that your body will be able to easily absorb the magnesium in that particular supplement, making it possible for you to remedy your magnesium deficiency. Keep in mind, when buying magnesium supplements, that many of them come with additional ingredients like fillers and additives. It’s up to you to read the ingredients and choose the best option. It is unlikely you’ll find an absolutely pure form of the supplement without an extra ingredient or two, but you can find a few options with the bare minimum additional ingredients. If you’re one of those people who’d rather not rely on their own judgement when figuring out what supplement to use or which brand to buy, you can always opt to talk to your physician, nutritionist or whatever professional you can trust to give you proper consultation. As mentioned earlier, the best way to start supplementing your magnesium is to start small, around 250 mg and work your way up. Depending on several factors, including your diet, body mass, and severity of your magnesium deficiency symptoms, the right dosage for your will vary. Some people just need a small boost while others need to supplement an entire 700-800mg. It all depends on your unique factors. Buying produce with pesticides and herbicides. Try purchasing food from small, local farms, organic farmers markets or even growing your own veggies at home. Stop drinking fluoridated water. Opt for water that has been through reverse osmosis filtration or distillation filtration instead. Cut down on coffee and caffeinated beverages. Instead, opt for bone broth or a healthy smoothie in the morning that will give your body a good boost of minerals and nutrients to start the day and keep you going. Cut soda and carbonated beverages out of your diet. There really is no need for these drinks in your diet anyway. Carbonated beverages are so bad for you and are usually chock-full of sugars. Your body can do without it. Cut down on sugar and avoid it as much as you can. Sugar is an anti-nutrient. It stops your body from absorbing nutrients and minerals properly. In small amounts it’s okay, but you have to watch out for how much you’re really getting. Avoid dairy. Although calcium and magnesium kind of go together, most dairy products have too much calcium that just competes with magnesium for absorption. To give the magnesium supplements a better chance, keep your dairy intake to a minimum. Watch out for foods with phytic acid like grains, nuts and seeds. Unless you can find ways to combat the acid in these ingredients, its better to avoid them as phytic acid is another anti-nutrient. Find ways to reduce stress in your life. As we learned earlier, chronic stress will deplete your body’s magnesium stores. Reduce stress to allow the magnesium in your body to go to work doing what it does best, which is improve all of your body’s functions. Aside from what was already listed here in terms of diets and supplements, there are a few other ways you can add more magnesium to your lifestyle. One of them is to use magnesium oil directly to your skin. You don’t want to put it on your face directly where the acne is, however. It’s best used on the parts of your skin that make it easier for your body to absorb, like on your inner elbows or rib cage. Keep in mind that magnesium oil might cause a burning sensation, so it might be best to dilute with water at a 50/50 ratio. Also, do not use it on shaved areas of the body, as this will only make the burning sensation worse. Another way to get magnesium through the skin is by taking baths with Epsom salt. Epsom salt is infused with magnesium, which is one of the main reasons why it’s so relaxing for the body. Finally, for actual ingestion, you can also drink mineral water. While its magnesium levels aren’t high enough to supplement everything else, it’s still a good boost. The key takeaway here is that magnesium is good for your skin and it actually improves your acne by improving the underlying conditions that cause and exasperate acne. Unfortunately, a large portion of the population is suffering from magnesium deficiency, which explains why so many people are stressed, miserable, having trouble focusing, having slow bowel movements and poor digestive health, not getting enough sleep and struggling with acne. Magnesium is a macro-nutrient that your body absolutely needs to function at its best, so it’s pretty safe to say that it will definitely make a big difference in your acne situation should you decide to boost your magnesium levels.